Make your next gift a heart pumping adventure with our Abseiling & Rock Climbing certificates. Climb and scale cliff faces offering not only an adrenalin filled experience, but also breath-taking views and an experience worth treasuring forever. Take the leap today and rope in a friend today to share this exhilarating experience with. Experience an entire day of abseiling in one of the most spectacular locations in Australia – the Blue Mountains. 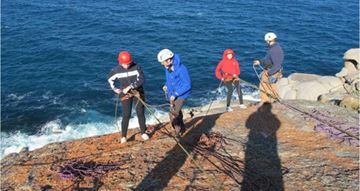 This experience offers the opportunity to learn the finer points of abseiling with fully qualified guides. The day begins by easing everyone in, starting small on the beginners block with a series of 3 metre abseils helping to hone skills before moving on to longer, higher and more exciting drops. Learn techniques to tackle varying abseil terrain, progressing up to the big 55 metre abseil! Feel the adrenalin when you first step over the edge of a real cliff and the achievement after you have reached the bottom. This is for those who want the challenge & excitement of abseiling down a natural cliff.A half day of abseiling experience down real rock! Feel the adrenalin when you first step over the edge of a real cliff. You shall receive expert instruction on abseiling techniques in a safe and friendly environment. Expect to get around 5 or more abseils during the day! Set in the beautiful Adelaide Hills at either Onkaparinga Gorge or Morialta National Park. Climbing and Abseiling on real rock! 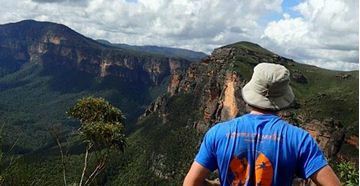 Enjoy this experience packed full of adventure and excitement, abseiling down cliffs and swimming in the grandeur of canyons in the beautiful setting of the Blue Mountains. Looking to pack even more in to one day? Experience the thrill of abseiling and canyoning in one of the most magnificent locations - the Blue Mountains. Join one of the original adventure companies and explore and share the passion for some of the most exhilarating and adrenalin-pumping experiences! 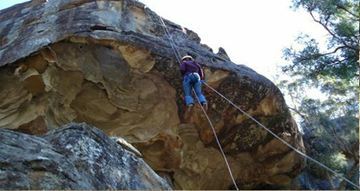 Experience the best of both with this ultimate abseiling and rock climbing adventure day in the Blue Mountains. Can’t decide between an abseiling experience and a rock climbing experience? Looking to pack a lot in to one day? Fear not – we have the perfect solution with this abseiling and rock climbing combo experience guaranteeing a day packed full of adventure. 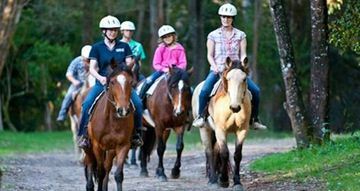 One of the best adventure days out in the surrounds of the Blue Mountains National Park. Experience a day of canyoning and witness all the natural beauty that this location has to offer. 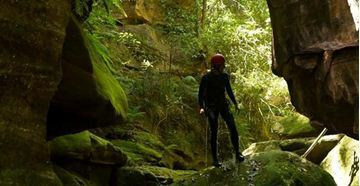 Canyoning in the Blue Mountains is a magnificent way to admire the natural beauty of the area as well as a whole lot of fun. 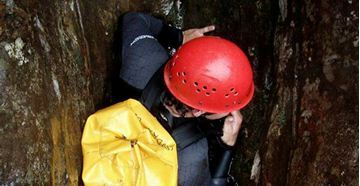 Canyoning is the perfect adventure in a natural playground and this introductory experience is suitable for anyone keen to explore and embrace the beautiful surrounds. The Blue Mountains is a stunning area, with some of its most spectacular sights hidden away from the towns and highway. Developed over thousands of years, the narrow canyon gorges are spectacular, and this day out provides the opportunity to appreciate them to the maximum. A fantastic abseiling/canyon combination, one of the Blue Mountain's best! For the seasoned abseiler and those willing to give it a try - this is one of the most exhilarating and exciting days spent in the outdoors. With gorgeous views of the Blue Mountains and the unspoiled beauty of the Empress Canyon this is a great gift for those who love a good adventure. Runs between September and April. The 3 hour session commences with a full safety briefing and introduction to the equipment and techniques then get right into abseiling. Initially you will forward run down a simple small cliff so you get the skills up for the next step, a 15 metre cliff with an over hang. Finally you will get to have a crack at the 35 metre drop ending near where the crashing ocean waves meet the cliff. Experience two ultimate outdoor adventures in Glenworth Valley. Saddle up for a tour through the valley and abseil down some unique rock formations.